The public could see an increase in armed police officers from this week. Bedfordshire, Cambridgeshire and Hertfordshire Armed Policing Unit are launching a new operation which will see armed officers carry out more visible and proactive patrols. Police are reminding people to be vigilant and report any suspicious activity, as they continue to promote the Action Counters Terrorism campaign in the lead up to Christmas. Footfall into town centres is expected to increase over the December period, and shoppers and party-goers are being urged to stay alert and report any suspicious activity while they are out and about. Detective Superintendent Glen Channer, from the Eastern Region Special Operations Unit and Counter Terror Policing, said: “We know that the Christmas period is a busy time, with many more people than usual visiting town centres, enjoying the night-time economy, and attending events such as Christmas M markets. 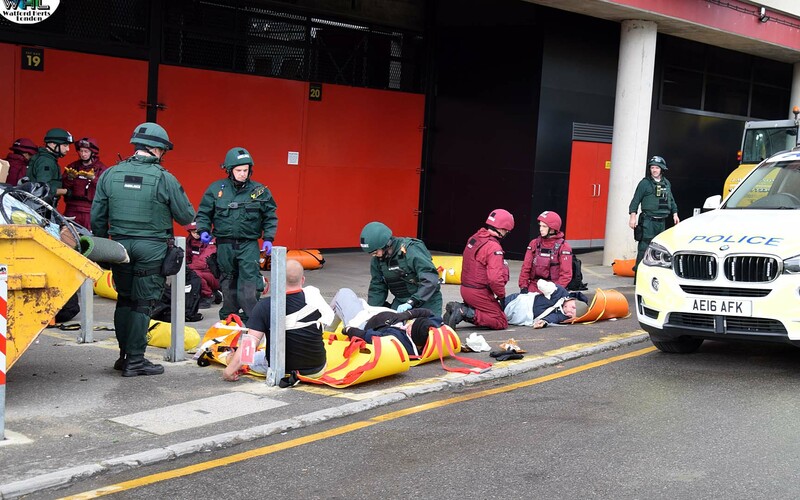 A multi-agency training event that was staged at Watford Football Club on Saturday has been hailed a success.